Mobile users usually access the Internet via a hybrid access network, in which cellular and Wi-Fi networks are available alternatively. In the hybrid access network, a mobile user decides to send or not to send a packet according to the number of packets already in the system and the phase of the server. 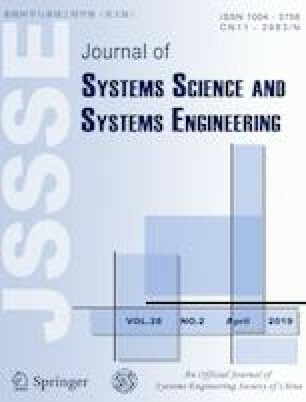 In order to evaluate the system performance of the hybrid access network, in this paper we first establish a fully observable continuous time Markovian queueing system. Then, we present an exact analysis to investigate the behavior of the mobile users in the network. Through iterations and diagonalization, we obtain the expected sojourn time of a newly arriving packet in a closed form. Moreover, with the monotonicity for the expected sojourn time of a newly arriving packet, we prove the existence of the Nash equilibrium strategy. Finally, we analyze the socially optimal strategy and motivate the mobile users to accept the socially optimal strategy by changing the sojourn cost. Dongmei Zhao received the B.Sc. degree in School of Mathematical Science from Liaocheng University, Liaocheng, China, the M.Sc. degree in School of Science from Yanshan University, China. Now she is a math teacher in Mathematics Faculty Office of Liren College, Yanshan University, China, and is a Ph.D. candidate in School of Information Science and Engineering, Yanshan University, China. Her research interests include cloud computing, virtual machine allocation strategy and application for queueing system. This work was supported by National Natural Science Foundation of China (Nos. 61872311, 61472342), Natural Science Foundation of Hebei Province of China (F2017203141), and was supported in part by MEXT, Japan. The authors would like to thank the anonymous referees whose valuable comments helped to significantly improve this manuscript.